The Supreme Skin Clinic is based in the White Rose Shopping Centre in Leeds, providing specialist non-surgical cosmetic treatments for the face, skin and body. We specialise in Medical Grade Diode Laser Hair Removal, 3D Liposuction & Fat Freezing, Botox™ & Fillers, Treatments for Acne & Pigmentation, Mole Removal and Skin Tag Removal. Are you trying to get rid of Unwanted Hair? 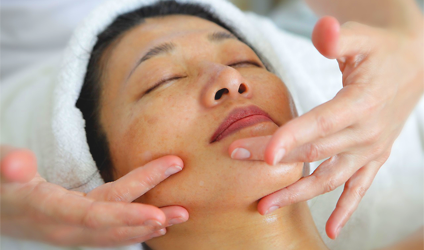 Do you suffer from Acne, Pigmentation or Scarring? Are you trying to Fight Aging and Reduce Wrinkles? Are you trying to become slimmer? Do you want a healthy and young looking skin? if the answer is YES to any of those questions, then you have come to the right place. The Supreme Skin Clinic is a local clinic in Leeds. comprised of a highly regarded team of experienced aestheticians. We offer unique and cutting-edge treatments, as well as industry leading non-surgical cosmetic procedures for the face and the body. What ever your requirements are, we listen to your aspirations and discuss your needs in order to help sculpt your desired cosmetic enhancements. Our approach enables you to feel more confident about yourself, therefore leading to a more fulfilled life. 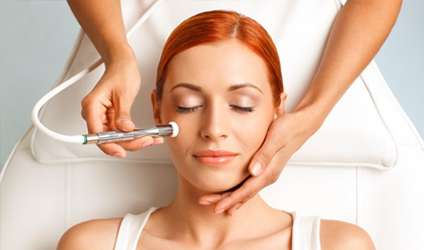 We proudly offer a diverse range of aesthetic treatments which are virtually pain free. Our aim is simply to make our clients feel happy and rather comfortable with whichever procedure they choose to undergo. Therefore, we believe our clients should walk out with only the most supreme and definitive results from session one! Get proven results from the 1st session, and remove unwanted hair with the world’s leading Laser Hair Removal technology by Lumenis Lightsheer® Desire™. Our hair removal laser treatment will give you definitive results and is far more superior than IPL. This system has been clinically proven to safely and effectively treat all skin types and hair types. Our laser treatment is affordable and virtually pain-free, hence why it is the most effective treatment for removing unwanted body or facial hair. Stop waxing and shaving, book your FREE CONSULTATION NOW and say goodbye to unwanted hair forever! effective services of its kind available today suitable for most parts of the body. 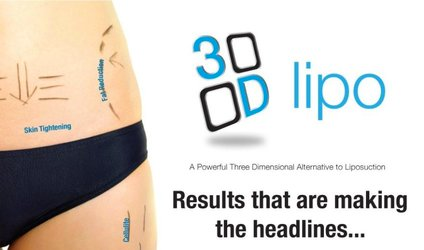 A Powerful Three Dimensional Alternative to Liposuction and no exercise required. Our treatments are designed to restore smoother and younger looking skin, by utilising only the latest and most advanced technologies. Why not try a Diamond Facial? or the award winning celebrity treatment Fire & Ice Facial? one of our best selling face-lift treatments which is aimed at improving the skin texture and blood circulation. Botox and Fillers are also available by Dr Nick Sinden, an increasingly popular name in Leeds. I have researched a lot of laser clinics and by far this one is the best, easy access, very clean, and the staff are lovely. I have been coming to Supreme Skin Clinic since January 2016 for full body laser hair removal treatments. So far I have done 5 out of my 6 sessions. I am extremely pleased with the results, my hair barely grow back from one session to the next and it's obvious that I won't have to go back to waxing or regular weekly shaving once I'm done with the full 6 sessions. My hair is quite coarse and black and just seeing the results make my life so easier and care free with regards to hair removal. The machine the clinic use is top of the line and very effective, and most importantly, not painful what so ever! Sarah, the laser specialist, is very professional and knowledgable and it's clear to notice that she has a vast extensive experience. I would totally recommend this place in case you are considering having laser hair removal. I suffer from Acne and I tried lots of creams that didn't work. I decided to visit Supreme Skin Clinic and had a course of their diamond facial, then I had the FIRE And ICE Chemical peel it's really amazing it's made my skin brighter and looks glowing, people noticed the difference everybody was asking me what have I done to my skin! I loved the treatment at supreme skin clinic, thank you. I have been here twice now and the women I have met are lovely! Always have on a lovely friendly smile and everyone greets me. I was nervous at first but they made me feel comfortable and relaxed. I am apart of the tattoo removal deal, I have been to many other companies who I never went back to. However, the tattoo removal woman here is brilliant! Always makes me smile! I always return! I have recommended to friends and family! Absolutely brilliant! I only noticed this clinic at the beginning of this year and was surprised I hadn't seen it before. I wish I had come here sooner!!! I have booked myself in for a series of sessions with the laser hair removal machine. The machine speaks for it self. It has done exactly what the therapist had mentioned. Following the first session my hair disappeared after 2 weeks. Having researched about the machine, this has got to be the best laser removal in the market. It is pain free and my skin feels softer and silkier. The therapist is very thorough and I feel like I have been well looked aftered. I have not met anyone who shows much consideration and passion then her. I am extremely happy with the results and is still due another 3 sessions, i have already recommended this clinics to friends/family. The clinic itself is clean, friendly and upon arrival is always offered refreshments. I am grateful I have found a clinic that delivers high quality treatment and would like to thank the team of Supreme clinic for doing such a great job!! Great place! clean clinic with professional staff. They provide a great service. I have been recommended by a friend and i will be recommending others for their Laser hair removal, it has worked wonders 🙂 I have had my full body done, and after 8 sessions I hardly have any hair left.